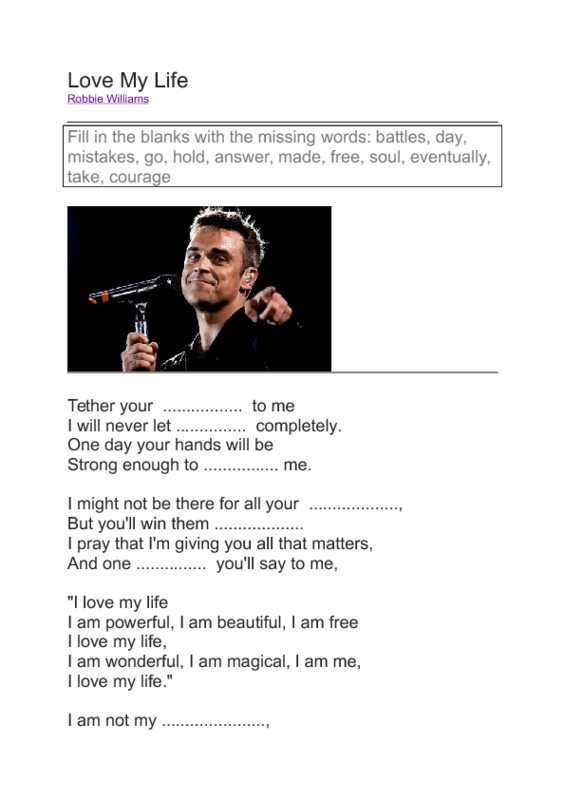 This worksheet is about listening to popular songs. 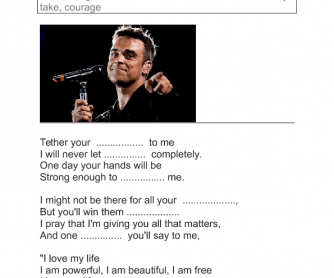 Robert Peter "Robbie" Williams (born 13 February 1974) is an English singer, songwriter and actor. He was a member of the pop group Take That from 1990 to 1995 and again from 2009 to 2012. He has also had commercial success as a solo artist. Here is his song "Love My Life".